Stock status is current as of 4/20/2019 3:07 PMET. The Savi 430 is the frst portable PC-based wireless headset system that incorporates DECT™ technology for unsurpassed, enterprise-grade audio quality, even in dense working environments. Hands-free functionality increases productivity by enabling users to multitask and move freely around the offce. 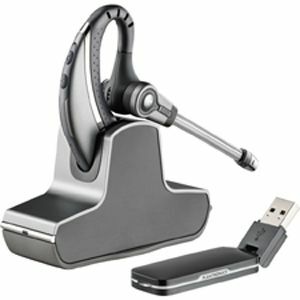 Enjoy the best PC sound with Savi 430, the only portable DECT USB headset on the market today.